Dismissing all suggestions that only a Parsi with a Tata name would succeed him, Tata Group chairman Ratan Tata on Monday said that the new incumbent would neither be a pro-Parsi nor an anti-Parsi, but the 'right person'. "The Tata Group is an Indian group and we should not be looking (at it) as a Parsi group. The successor should be the right person and not anti-Parsi or pro-Parsi," he told shareholders at Tata Chemicals' annual general meeting in Mumbai. The market was rife with speculation that the Tata Group's successor will be from among the Parsi community. Jamsetji Nusserwanji Tata, who was born into a Parsi family, formed the Tata Group in the early years of the last century. Tata further said that he stayed off the committee so that it will have the full freedom to take its decision. The committee is mandated to pick the person, who is best equipped to head the group, he added. Image: Tata Group chairman Ratan Tata. 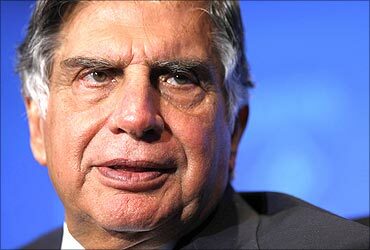 The $70-billion Tata Group has embarked on a global search for a successor to Ratan Tata, who turns 75 in December 2012. The conglomerate has an official policy of retirement at 75. "The Tata Group (today) is not the group that Jamsetji Tata formed. Today, its revenues are $70-billion and 70 per cent of this comes from outside India. 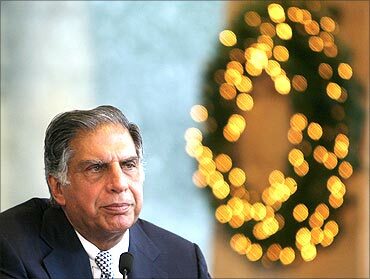 So we are no longer an India-centric group," Tata said. The setting up of a search committee for the Chairman's post-- the first such in the group-- is in line with Ratan Tata's vision of transforming the group from a patriarchal concern to an institutional enterprise. "The committee members are also concerned as you are to make sure that the company will remain in good hands," Tata told the shareholders. In a lighter vein, Tata said that post-his retirement, he would like to sit in the audience and ask questions at the company's annual general meetings. 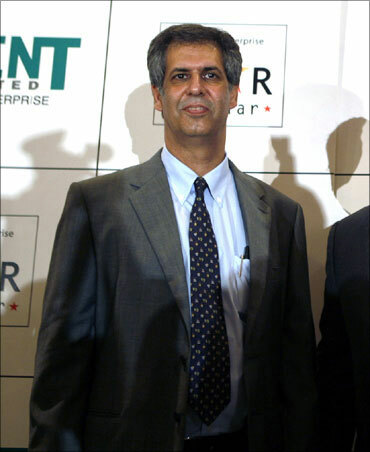 Ratan Tata has been the chairman of the group for almost 20 years now. Last week, Tata Sons had said its board had formed a selection committee comprising five members, including an external member, "to decide on a suitable successor". The committee would look at candidates both within the organisation and outside. The five-member search panel includes a former Tata Sons vice chairman N A Soonawala and two senior group directors R K Krishnakumar and Cyrus Mistry, and group adviser and lawyer Shirin Bharucha and influential British businessman Lord Bhattacharya.